Everyone’s path is different. Each person’s journey takes different turns and presents mountains and twisting caverns that can strengthen and deepen one’s resolve and understanding of the world at large. 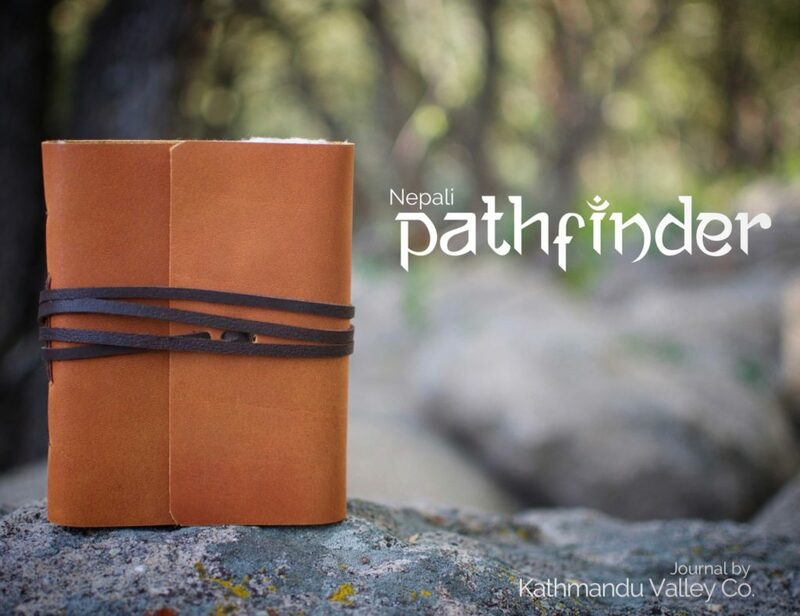 Track your path in our Nepali Pathfinder Rustic Leather Journal, handmade in the Himalayas of Nepal with Lokta Paper. Lokta paper is handmade from Lokta Bushes which grow on the southern slopes of the Nepali Himalayan Mountains. Give non-tree paper a try as Lokta Paper, since it’s fibers come from a bush, are renewable. The tough fibers are cooked into a pulp and then spread by hand over boxed screens and set out to dry on the Himalayan mountainside. The rustic leather comes from water buffalo hides and is vegetable-dyed. Mimosa bark is used to create the caramel color and black walnut husks are used to create the dark brown strap. Keep track of your unique path in a journal that is unlike any other.